Crush the letters and beat 200 word puzzles! Find a word, swipe the word and crush the letters. Every Time after you find and swipe a word, the grid is reorganized to form a new one. With all the letters on board crushed, the puzzle is solved. Intuitive, challenging, addictive, educational, big fun-that’s all about Crush Letters. √ More than 20 themes: fruits, animals, sports, holiday, etc. When I played on my iPad, the game changed when there were only a few puzzles left. When one puzzle is finished a line comes up on the circle showing how far you’ve been/how far you’ve got to go until that puzzle category is complete. And if you have to stop within one category, you’ll start back at that point. When I played on my iPad, the game changed when there were only a few puzzles left. If you couldn’t finish the category, you’d have to start that category all over again. I hope that gets fixed cause it’s fun. Where is the rest of the game? The app hasn’t been updated in a year. Played all the levels it has 20 then says “coming soon ?”. Enjoyed the game, learned some new words and things I’d never heard of as well. Then boom! All done then it just starts all over automatically. I emailed to see if the app is dead or not. Will update my review if I get a response. Thank you so much for your support of Crush Letters and congrats on your big achievement that you have passed all the levels. Amazing! If you like our game, please give us a five star rating in the app store. Just tap on the gear icon and click on RATE CRUSH LETTERS. This will only take a few seconds and your effort is so much appreciated by a startup company like us. Sorry we haven't decided when to add new puzzles. 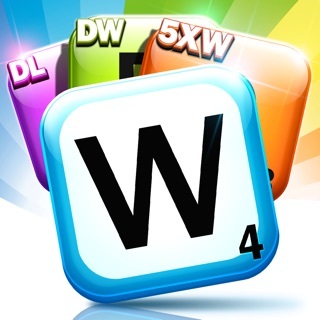 Why not try other very popular word games of ours, such as Word Town, Word Jungle and Word Shop. They are all very fun and challenging. Have a try and you won't get disappointed! We are grateful for your amazing review and we are so glad you love this special game. It's both relaxing and challenging; a nice way to kill boredom and exercise your brain. Enjoy your time with it and please feel free to contact us when you need help!